The thief, the wizard and the computer hacker. Way back in the medieval mists of time a thief and a disgraced wizard are thrust together in an executioner's dungeon. In the darkness, the wizard reveals an incredible secret about a legendary spell. Using this great spell, they escape their prison cell... and eventually their century. Catapulted into the 21st century, their lives collide with a computer hacker who has plans to wipe out the world's largest bank. But dangerous people are tracking their every move... What happens when ancient magic meets the internet? One thing is sure, modern life will never be the same again. Welcome to Reading A Little Bit Of Everything, How are you? I’m fine thanks, but I wish there were 30 hours in the day so I had time to do everything I wanted. I guess that would really mess up the 24-hour clock though. Can you tell readers a bit about yourself and your novel Dark Tidings? My name is Ken Magee and I’m an... author. I live in Bangor, Co Down, and I’m delighted to have the chance to say a few words about my background. 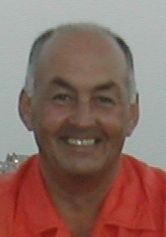 I worked for many years in the computer industry in a wide variety of roles including programming, systems analysis and sales. In the middle of it all, I served in the Navy Reserve for five years... which was hard work, but fun. In 2010, I semi-retired and decided it was time to finish the book I had started many years ago (writing not reading). I would have finished it sooner, but life got in the way. It’s finished now, but I don’t think any of the original book survived the process! 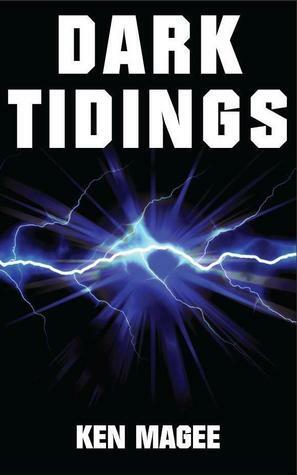 Dark Tidings is a contemporary fantasy which had a good sprinkling of humour... lots of laugh out loud moments too, which I’m sure seemed strange to anyone who was watching me write the book. What is the inspiration behind your novel? I’m not entirely sure, but it was probably playing early computer adventure games combined with reading Terry Pratchett’s first Discworld novel, The Colour of Magic. I got a taste for the fantastic, magic and wizards, I just wish I had finished Dark Tiding’s sooner... before JK Rowling stole my limelight! For as long as I can remember, I have had a love of words and reading. My father, in particular, was very encouraging about reading and there were always books about the house when I was young. Then there came a stage when I seemed to be able to predict how stories were going to end or, more often, I came up with a better ending. It was at that point that I thought I should be writing. I started with short stories and then eventually, I got round to writing a full length novel. I think it was Brendan Behan who said something like “Why would there be a message? I’m a writer not a postman.” But my answer is probably “not really”... Dark Tidings is a fun fantasy, however the ending may leave the reader thinking about the state of the world... that’s all I’m saying because I don’t want to spoil it. Are you currently working on anything new atm that you could tell us about? I am writing the follow on to Dark Tidings, the working title is The End of the Tunnel and it should be published early in the summer. I felt the first book ended at a clean, but interesting, point, but I’m hoping there are lots of readers who’ll want to know what else could possibly happen to the main characters... and I hope they care what happens to them. Writing is hard work, but it is fun if you love your story and your characters. If you don’t care then your readers won’t. So make sure you are passionate about what you’re doing. Is there anything specific that you want to say to readers? Obviously, I’d love your readers to try Dark Tidings and, if they do, to let me know what they think. It’s so important for a writer to know whether people like their work or not... that’s what gets us up in the morning. Colour: Black & white - I like things to be definite. Place: The Bangor coastal path. Book: McCarthy’s Bar by Pete McCarthy. I'd like to thank Ken for taking the time out and answering some questions! I know we all appreciate it. What do you think of Dark Tidings? Interested to read it? Below are links to where you can purchase the book!